Your freedom to drive whenever and wherever you want is something you likely took for granted until it was put in jeopardy by a DWI charge. 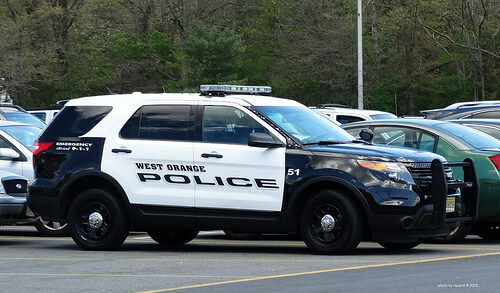 Now that you’ve been arrested and charged after being stopped for suspicion of drunk driving in West Orange, New Jersey, you’re facing the prospect of losing your driver’s license, your livelihood, and the ability to handle your adult responsibilities. At this critical moment in your life, you need an experienced DWI defense attorney who understands the magnitude of your situation and has the tactical skill to minimize the damage. The West Orange DWI lawyers at The Tormey Law Firm are proven performers who have a lengthy list of successful outcomes in DWI cases just like yours. If you are facing a DUI charge in West Orange, NJ, contact us immediately at (201)-654-3464 for a free consultation with an attorney. If you were stopped by police and arrested for DUI in West Orange, chances are good that you were on one of its multiple busy roads, including Eagle Rock Ave., Northfield Ave., Pleasant Valley Way or Mount Pleasant Ave, to name a few. Despite being a relatively small municipality, West Orange has several roads that connect multiple towns. Local police often setup DWI checkpoints throughout these neighborhoods and are on the lookout for intoxicated motorists traveling throughout the Essex County area. In most situations, a DWI charge begins with a police officer pulling you over for a traffic violation – perhaps a broken taillight or a failure to signal when changing lanes. Upon approaching your vehicle and asking for your license, registration and insurance, the police officer will examine your behavior for any signs of intoxication. If at any point the police officer has a reason to believe that you are under the influence of drugs and/or alcohol, he or she may ask you to perform field sobriety tests or to take a breathalyzer test. Some of the standard field sobriety tests in New Jersey include the Horizontal Gaze Nystagmus, Walk and Turn, and One-Leg-Stand. It’s important to note that you are not legally obligated to take any field sobriety tests, though your refusal may be used against you. However, you are legally required to submit to a breathalyzer test under N.J.S.A. 39:4-50.2 and will face charges for refusal to submit to a breath test if you do not consent to do so. A first-time NJ DWI charge carries a host of penalties and fines that could negatively impact you and your family. Perhaps the most damaging is the loss of driving privileges for a minimum of three months. The inability to drive for an extended period of time may make it difficult for you to maintain employment, continue your education, or take care of your family. 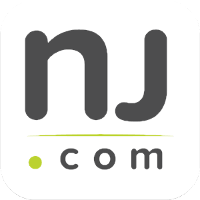 When combined with the additional fine of up to $400 and thousands of dollars in fees and insurance surcharges, being found guilty of violating N.J.S.A. 39:4-50 could prove to be a devastating blow. Things only worsen if you had a blood alcohol concentration of 0.10 or above or if this was not your first offense. At this point you’re likely wondering what you can do to avoid this onslaught of penalties. There are a number of strategies worth exploring. Unlawful Stop: The police must have had probable cause to stop your vehicle in the first place. If police had no reason to stop you, your DWI case may be thrown out. No Probable Cause for Suspicion of Intoxication: You may be able to challenge the notion that the police had any reason to believe you were drunk or under the influence of drugs. Improper Police Procedures: From the administration of the sobriety tests and/or breathalyzer to the 20-minute observation period, the police are bound to a specific protocol that must be followed. There are many other defenses that may lead to your DWI case being dismissed or your sentence being reduced. All of the evidence and circumstances surrounding your case must be thoroughly examined to create a sound defense strategy. We invite you to contact the West Orange DWI attorneys at The Tormey Law Firm to begin discussing your case and the ways we can help you secure a favorable outcome. Call 201-654-3464 to schedule a free consultation right away or contact us online to schedule an appointment at our local office.